We believe that children ministries are a very important part about the growth and spiritual development of a child. If a child does not have a good upbringing spiritually, what will happen to that child when he becomes an adult? That’s right. We do not know. He could go either way. We want him to grow up loving and knowing God. Calvary Kids! Growing in grace and knowledge of our Lord Jesus Christ! 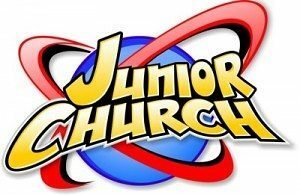 Calvary’s Jr. Church is an exciting time of Bible Stories, crafts and competitions. Guaranteed to teach and reinforce the truths of God’s Word. Every Sunday, right before the Sermon, the Pastor will dismiss all children 4 years old to 4th grade to Junior Church. This is a great opportunity for our kids to learn to love and serve God at a young age. Wednesday night Kids Clubs are exciting, challenging and fun! The 1st through 6th Graders compete in the Kids 4 Truth Club. Kids earn prizes and patches by memorizing scripture to display on their standard. Kids 4 Truth is a Biblically sound curriculum that uses Scripture memory and Biblical teaching to teach children to glorify God through their lives. 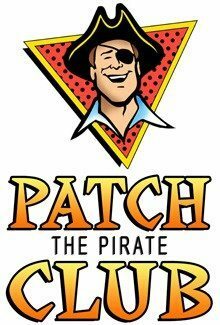 Our 3 through 5 year olds have fun learning through play and song as they participate in the Patch the Pirate Pee Wee club! Join us for Good News Club at Palmetto Bays Elementary School. The team is made up of members from Calvary Christian School and our church. If you are interested in being involved, speak with Kathy Anderson who will be leading the team. The highlight of our year at Calvary is our VBS program each summer. We are excited to invite you to be part of this exciting event! Watch for updates coming this spring!